We’re partnering again with Metro Blooms in 2019 to offer low cost rain or native gardens to Armatage residents who live within the neighborhood’s borders (54th Street to the north, Xerxes Ave to the west, Logan Ave to the east, and Highway 62 to the south). 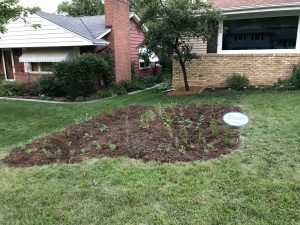 In 2018, we installed 12 Armatage rain gardens and we’re hoping to reach 17 rain or native gardens this year! 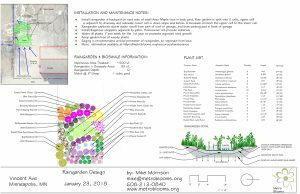 Apply for a rain or native garden here. Metro Blooms will confirm we have an open slot for you in 2019 or you’ll be added to our wait list. 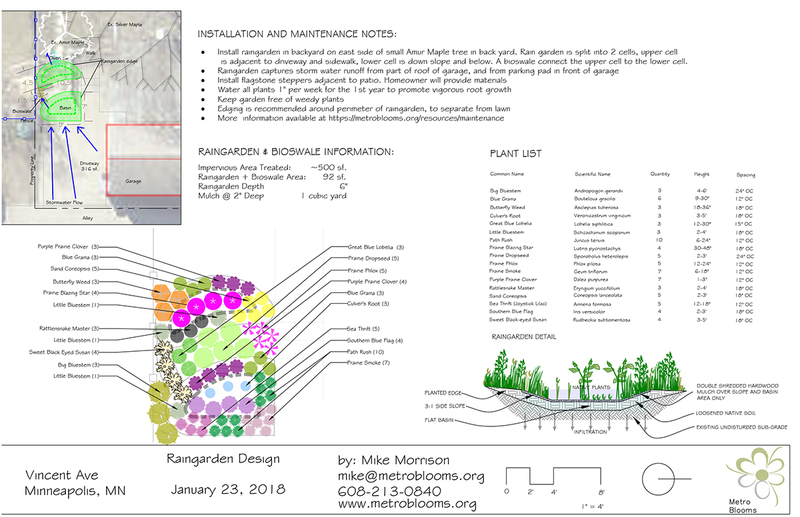 Everyone in this year’s program will receive an onsite consultation and their own garden design from Metro Blooms. Sometime over the summer (our estimate is July or August), teams from the Conservation Corps of MN will excavate the gardens, haul away extra soil, and mulch. Participants pick up and plant their new plants and receive lots of information on how to maintain their new garden. 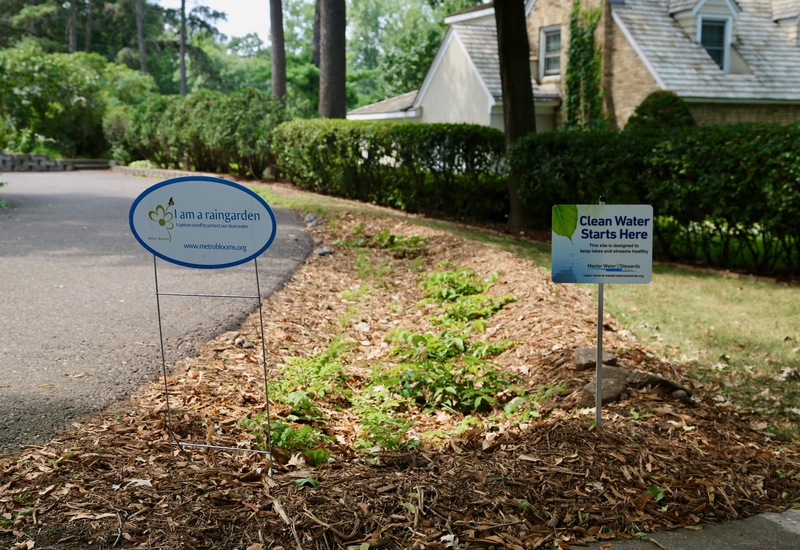 This year the ANA has increased our subsidies, so residents will pay just $250 – $460, depending on the size and design of their rain or native garden. We also have a limited number of grants for residents who meet income qualifications to further bring down the cost of a garden. Learn more and apply for an additional $100 grant here. Renters are especially encouraged to apply for a rain or native garden. We know that not being the property owner can be a barrier so our Green Team will help you get approval from your landlord and offer assistance to help get your garden established, even if you move.